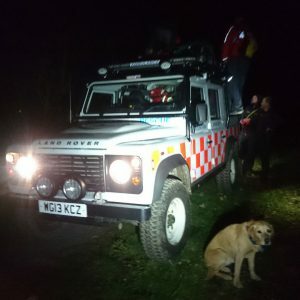 Just before the first team returned to base we had a second callout on what should have been our practice night. 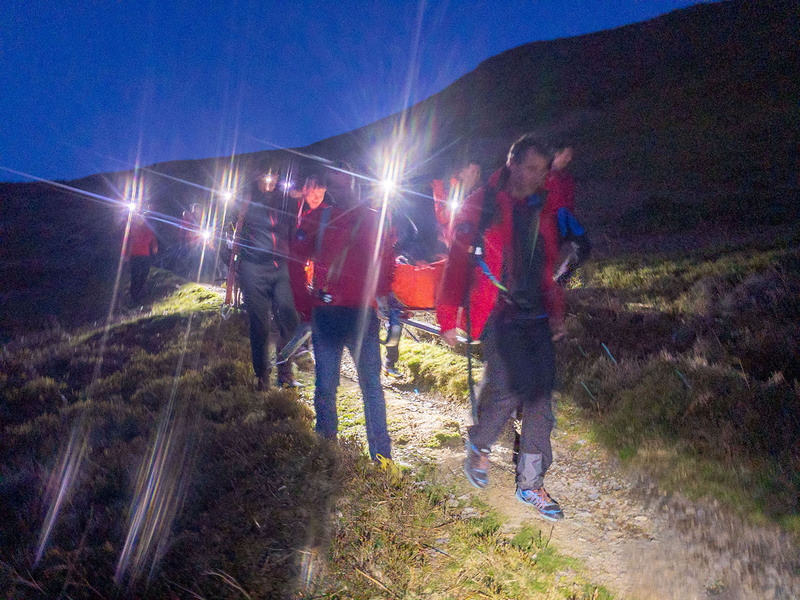 There’s no better training than doing it for real! 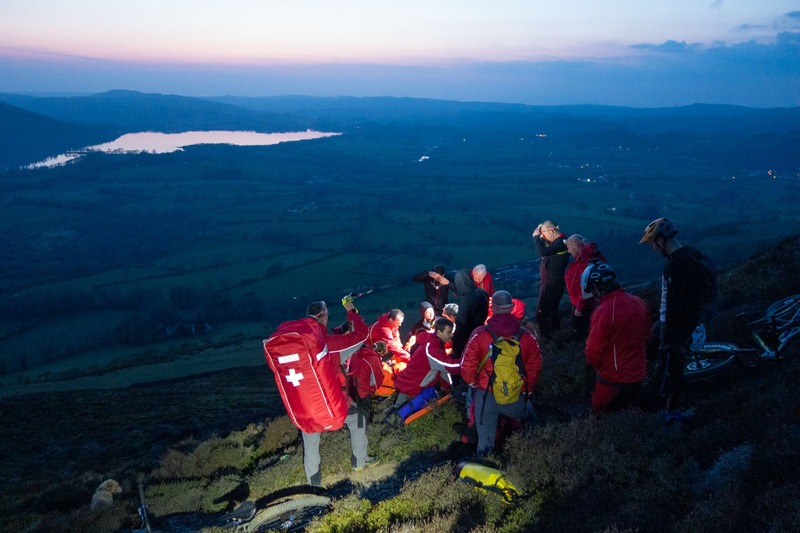 This time a mountain biker had come off his bike and suffered a suspected broken lower leg. 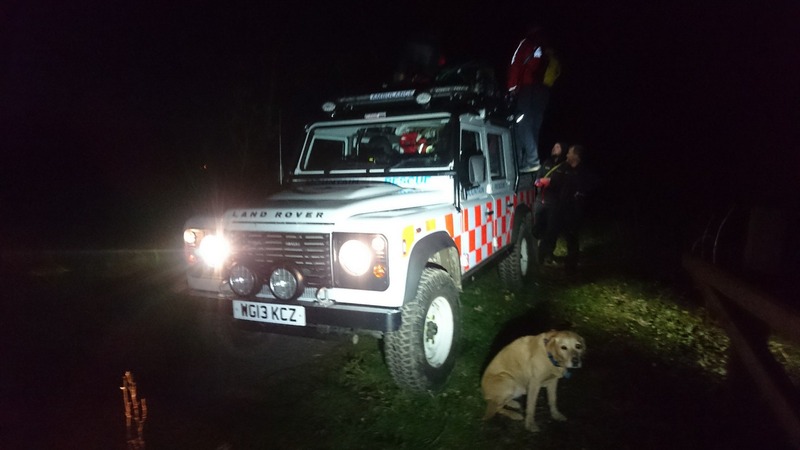 The second Landrover went out immediately shortly followed by the returning team from incident number 20. 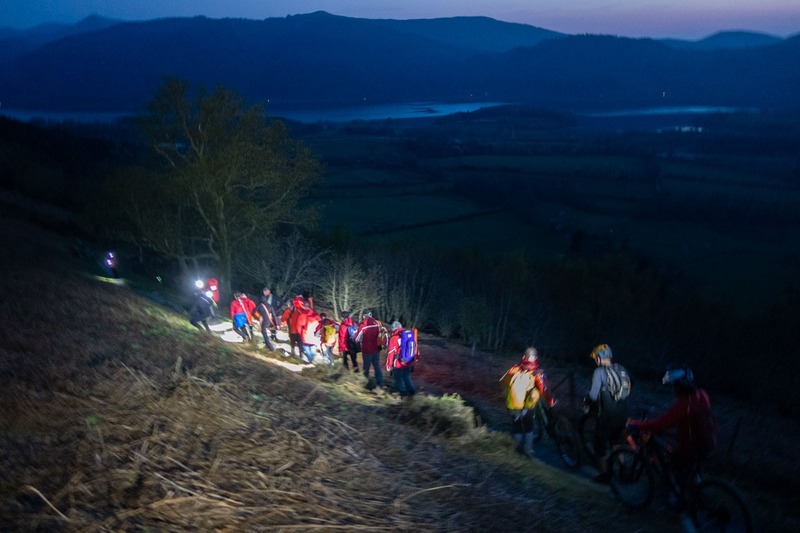 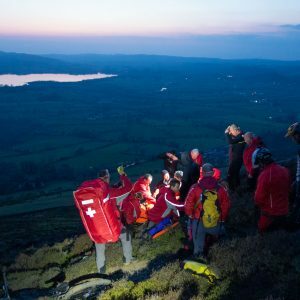 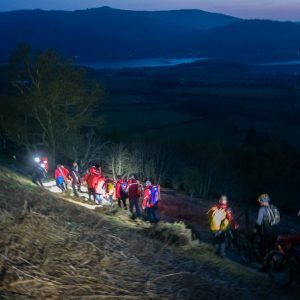 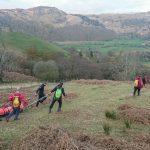 The team approached from near the Ravenstone Hotel up onto the lower slopes of Ullock Pike where we found the local mountain biker lying amongst the heather in considerable pain but remarkably stoic. 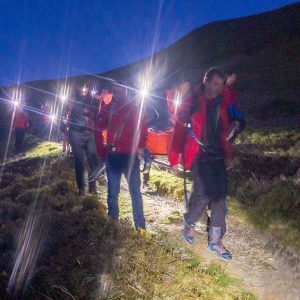 When asked about his level of pain he said it was ‘less than ideal!’ He was assessed by the team doctor and given analgesia before being loaded onto a stretcher and carried back down to the roadside where an ambulance was able to take him to hospital.